No matter what our composition, what we look like, whether human, animal, or plant, we are all miraculously made up of the very same particles of cosmic dust that are scattered across the universe. Life on Earth is composed of the magical elements that formed the planets and the stars. Organic cells cannot be destroyed, they stay forever. Every living thing remains in this same universe that gave us life. Your molecules has been mingled with everything that is or ever was. 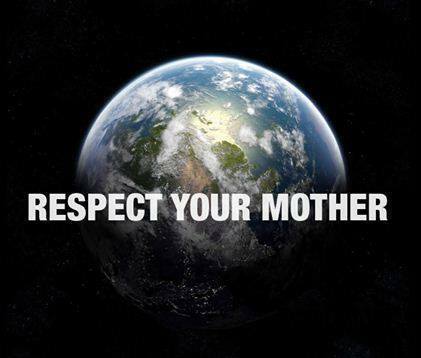 That alone is a good reason for us to treat all life with respect. They are already a part of each and every one of us. And that is why I wrote my science fiction medical thriller which has just been released. The Organ Harvesters is a damning evaluation of a system that had put technological advancements ahead of human rights, and protection of the environment and every living creature. Corporate-Government wars of 2020 result in a global Corporit (sic) dictatorship. Its legacy? Escalating climate change, limited food supplies, and clean air only for the elite. Dr. Zoe Hidalga, organ harvester in a powerful tri-state medical corporation, is infected with VMAS, an incurable retrovirus that killed her husband two years earlier. At that time the Corporits snatched her daughter, claimed Zoe was an unfit mother. Marked for termination, she is now frantic to get her child back before they drag her away. Zoe is now hidden in the rebellious society of the Noncorps – outcasts and innovators who wouldn’t or couldn’t survive under the Corporits. The Noncorp society thrives under the guidance and protection of Asher Wind Storm. A visionary, healer, and leader of the Revivers, and Zoe’s future lover, his followers everywhere are already regenerating the Earth’s flora and fauna under his huge Caplac domes. Asher Wind Storm sat on an arid hilltop above a landscape of desolation. Not a hint of animal, insect, or plant life existed in the leached soil that lifted and blew, surrendering itself to every wisp of wind. In the center of a large circle formed by his closest companions, he reached out, sifted through the lifeless dirt with probing fingers–the earth sucked the moisture from his calloused hands like a thirsty beast. He gathered the particles into tiny mounds and a sudden swirl of air swallowed each pile, morphing the grains into a dust devil that swelled, lifted up, and reached out to the heavens. It hung, suspended like a black angry cloud, before it changed into a hovering apparition of an amber eye that stared down through the suffocating carbon particles surrounding the planet. The cloud drifted. It traveled farther and farther across the sterile landscape, tossing the dead soil that had not felt the softness of moisture or the swelling of growth for a long, hard decade. When the eye returned to focus on the Medicine Wheel, a single tear fell from the sky and landed in the center of the circle. Storm watched the tear settle at his feet, he planted three seeds in that single spot of moisture. “Thrive!” He held his hands over the seeds. “We are at peace with all our brothers and sisters. One with all the spirits of our Earth. One with the oceans. rivers, rocks, soil, sky, plants, animals. 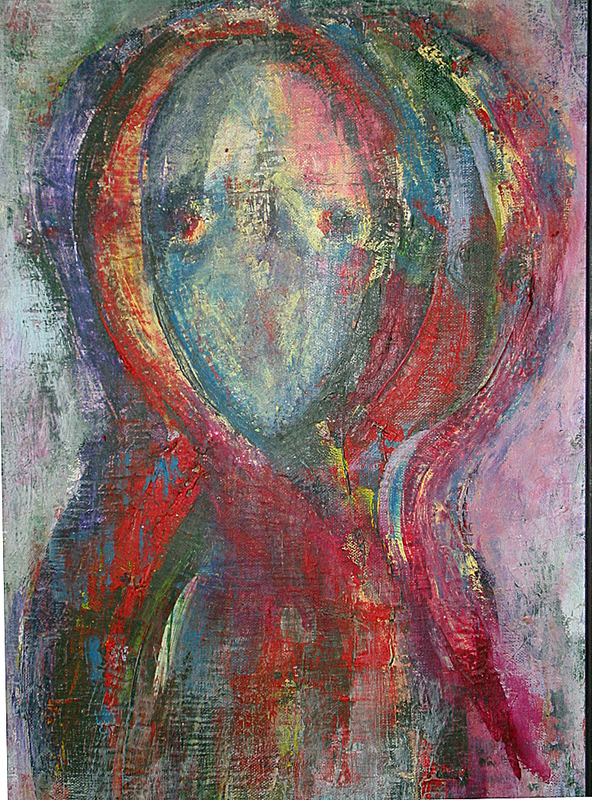 “We are them as they are us. 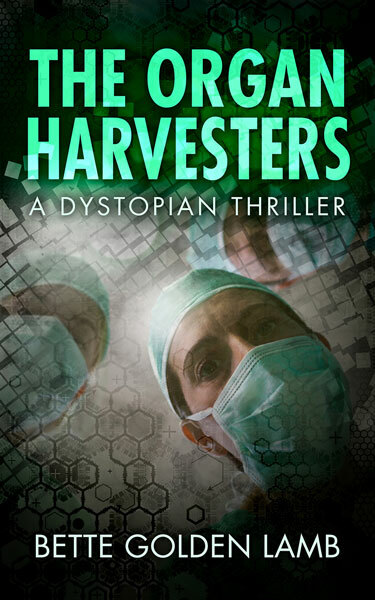 JUST RELEASED: The Organ Harvesters Winner of the 2014 Stellar Sci-fi Contest for Science Fiction Dystopian Novel. This entry was posted in Uncategorized and tagged Hope, life, Medical ethics on December 21, 2014 by Bette Golden Lamb. There’s strangeness in the air this time of year. That strangeness is really there all year. But its scent is much stronger now and it’s everywhere, because during December it flames and spreads like a wildfire invading not only our physical lives, but who and what we are. And when that bizarre element wafts like some pandemic invader, it morphs into an anesthetic that makes us all surrender the last month of our calendar year—willingly. It reminds me of H.G Wells’ Time Machine. If you don’t know the story, it’s about a time traveler who creates a machine that takes him far into the future—in the story the year is AD 802,701. What he finds is that there is a two class system of humans: the simple Elois and the brutal Morlocks. When a mind-blasting siren blares, all the conditioned Eloi people drop everything and deliver themselves (in a trace-like state) to the underground Morlocks — who are definitely not vegetarians. The Elois don’t fight their fate, they have been trained to surrender, and that’s just what they do. Like all of us do in late November and early December. Today, people even look forward to leaving their Thanksgiving tables, not with a feeling of joy or love, but in some kind of black fog that they recreate on the following day to bow before the legions of corporate offerings. Like H. G. Wells and his Elois, we are summoned and we appear. It seems H. G. Wells didn’t really need to go as far into the future as he did for his scenario—aren’t we allegorically already examples of his story? But Wells doesn’t stop there. In The Time Machine, written in the late 1800s, this brilliant writer and futurist travels even farther ahead in time, and he sees some of the last living things on a dying Earth where the world is frozen and silent. Aren’t we making this writer’s prophecy come true by our surrending in a trance-like state to that finality, as well? We humans are supposedly intelligent, and yet, we are obsessed with consumerism to the point of mindlessness while all around us species of plants, animals, and ocean creatures are disappearing at a catastrophic rate. Our world is dying, not only in December, but in every single month of the year. And try wrapping your head around this fact I read on facebook.com/discover the forest: The average American child can recognize 1,000 corporate logos, but can’t identify 10 plants or animals native to his or her own region. Does that fact cut through our dazed brains as we walk to the malls? Children will reach adulthood and not have a clue about the natural world they live in. What’s wrong with us? Have we totally lost the way when we prepare our children to accept annihilation by only learning to be good consumers and not becoming the future guardians of their own nest? Are we begging for extinction? This entry was posted in Uncategorized on December 8, 2014 by Bette Golden Lamb.